Health Access explores CT Colonography, a non-invasive, visual test for Colorectal Cancer Screening. - it's easier than ever! It’s time to get the facts – and stats – on colon health. Millions of Americans avoid screening without fully understanding how easy a CT Colonography (CTC) exam is, how many major and local insurance providers now cover this test – and how early detection can save lives! 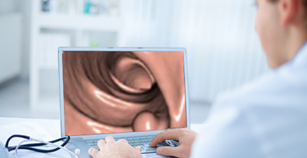 Want to learn more about Colon Health- and CT Colonography? 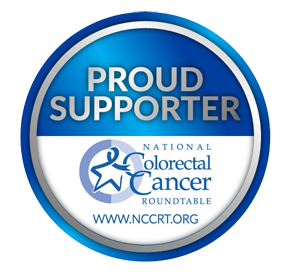 The Roundtable, established by the American Cancer Society (ACS) and the Centers for Disease Control and Prevention (CDC) in 1997, is a national coalition of: public organizations, private organizations, voluntary organizations, and invited individuals dedicated to reducing the incidence of and mortality from colorectal cancer in the U.S., through coordinated leadership, strategic planning, and advocacy. Bracco Diagnostics is very proud to support the work the Roundtable is doing every day to help save lives through education, outreach and screening! The use of CT colonography for Colorectal Cancer Screening testing offers effective screening, patient-centered advantages, and lower costs compared with optical colonoscopy, and may be particularly appealing to the currently unscreened population with commercial health insurance. If the availability of CT colonogra­phy expands to meet the increased demand for it, CT colonography could cost up to 50% less than op­tical colonoscopy per screening year. 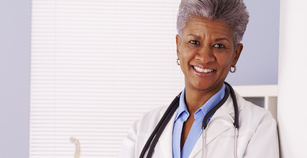 Colorectal cancer incidence and mortality are higher in African Americans as compared to non-Hispanic whites, and screening rates are lower in African Americans. We evaluated the African-American cohort (n [ 2490) of the computed tomographic (CT) colonography screening program at the Atlanta VA Medical Center. The yield of cancer (0.7%; 18/2490) was higher as compared with a previously published predominantly white CT colonography cohort, and the overall colonographic prevalence of polyps and masses ‡ 10 mm (8.5%) was within the range observed among African Americans undergoing screening optical colonoscopy. The addition of CT colonography to the colorectal cancer screening armamentarium could improve colorectal cancer detection and prevention in African Americans. People with insurance that covers CT colonography for colorectal cancer screening are almost 50 percent more likely to get screened than those whose policies don’t cover the procedure, according to a new Radiology study. Colorectal cancer kills 50,000 people each year, despite the existence of screening methods that provide early detection and treatment of the disease. 2 Howlader N, Noone AM, Krapcho M, et al, eds. SEER Cancer Statistics Review (CSR), 1975-2013. Bethesda, MD: National Cancer Institute. based on November 2015 SEER data submission, posted to the SEER web site, April 2016. Accessed April 11, 2017.